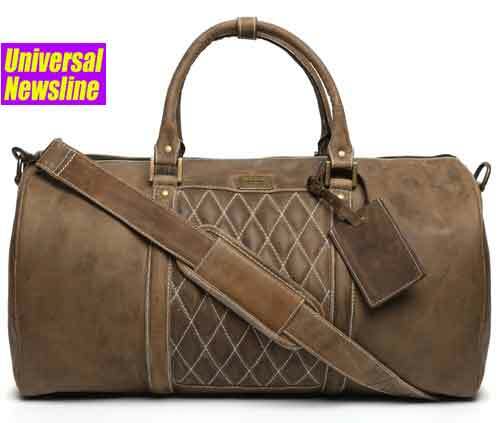 Brune, a premium leather brand that produces handcrafted and hand painted shoes, bags and accessories, launches its trendy duffle travel bags’ collection. This latest offering by Brune is available in striking vibrant colours for men and women both. Designed in modish patina technique these premium leather bags are hand painted with smooth zips and extra pockets to make it more spacious for smaller accessories. Brune’s travel duffle collection is an ideal companion for weekend escape; this latest collection is apt for young travel enthusiasts. The bags can be designed in any color by the brand on customer’s request. Brune, established in year 2015 captures the classic essence of style in an array of leather accessories and shoes with a tint of formal. The brand offers a wide variety in formal shoes ranging from brogues, oxfords, tassels to monk strap and varied choices in bags ranging from duffle, strolley, backpacks, messenger to laptop briefcase. The brand is setting new benchmarks for surpassing the latest techniques in the fashion industry like inculcating unique customization options of name initials and hand finishing. In this short span, the brand has carved a niche and is gaining wide popularity among celebrities. Recently the brand has also got the privilege of curating formal shoes and belts for the Indian Cricket Team. The brand has also customized an entire travelling range for the maverick youth icon and cricketer Virat Kohli with his name initials and hand painted moccasins for endearing persona from cricket industry, Yuvraj Singh for his wedding reception.